Grantham Tennis Club won Lincolnshire LTA Community Club of the Year in 2016. 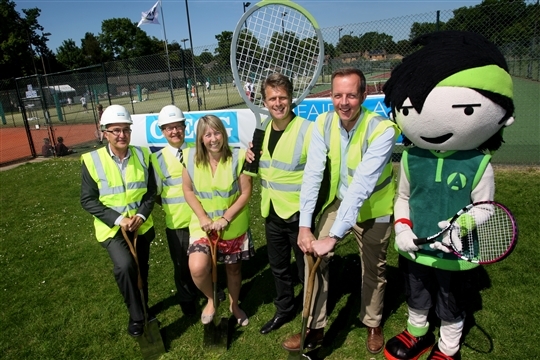 We aim to get anyone and everyone involved in tennis. Coaches go into different schools to run coaching sessions. Coaches have also gone to local events to reach out to the local community. Different groups hire out our facilities to host their activities - we always want more people coming. The Cafe runs a volunteer programme for people with learning difficulties. They work with local care homes, colleges and support groups to give as many people as possible some experience in working. Every volunteer has a target which they work towards. In some circumstances, volunteering at the Cafe has led to a paid job. Grantham tennis club events aims to reach out to the community to offer a wide range of activities for a range of interests.